A native of British Columbia, Gayle grew up on the North Shore and has a particular love for her community and its environment. With over 29 years experience selling Real Estate in North and West Vancouver, Gayle had been awarded as a 25 year life member of the Real Estate Board of Greater Vancouver's prestigious Medallion Club" Top 10% of realtors in greater Vancouver. 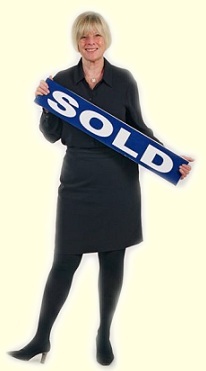 Gayle was also recently awarded the Re/Max prestigious Hall of Fame Award. When you need a truly ethical, professional and knowledgeable Realtor who is dedicated to servicing your needs choose Gayle. She was recently complimented by one of her clients for using her professional expertise, her down to earth approach and her sense of humour to make their home selling experience a truly pleasurable one. Gayle’s honest and forthright approach will give you confidence in her abilities to protect your interests. Be it a cozy cottage or a palatial estate. Gayle has the professional expertise you need.